Although the Earth's crust averages a mere 0.004 grams of gold per ton, commercial concentrations of gold are found in areas distributed widely over the globe. Gold occurs in association with ores of copper and lead, in quartz veins, in the gravel of stream beds, and with pyrites (iron sulfide). Seawater contains astonishing quantities of gold, but the process of recovery is not economical. The ancients found quantities of gold in Ophir, Sheba, Uphaz, Parvaim, Arabia, India, and Spain. By the time of Christ, written reports were made of deposits in Thrace, Italy, and Anatolia. The greatest early surge in gold recovery followed the first voyage of Columbus. From 1492 to 1600, Central and South America, Mexico, and the islands of the Caribbean Sea contributed significant quantities of gold to world commerce. Colombia, Peru, Ecuador, Panama, and Hispaniola contributed 61% of the world's newfound gold during the 17th century. In the 18th century they supplied 80%. Following the discovery (1848) of gold in California, North America became the world's major supplier of the metal. From 1850 to 1875 more gold was discovered than in the previous 350 years. By 1890 the gold fields of Alaska and the Yukon edged out those in the western United States, and soon the African Transvaal exceeded even these. Today the world's unmined reserves are estimated at 1 billion troy oz (31 billion g), about half in the Witwatersrand area of the Republic of South Africa. Gold deposits are also found in Wales, Hungary, and the Ural Mountains of the Russian Federation. 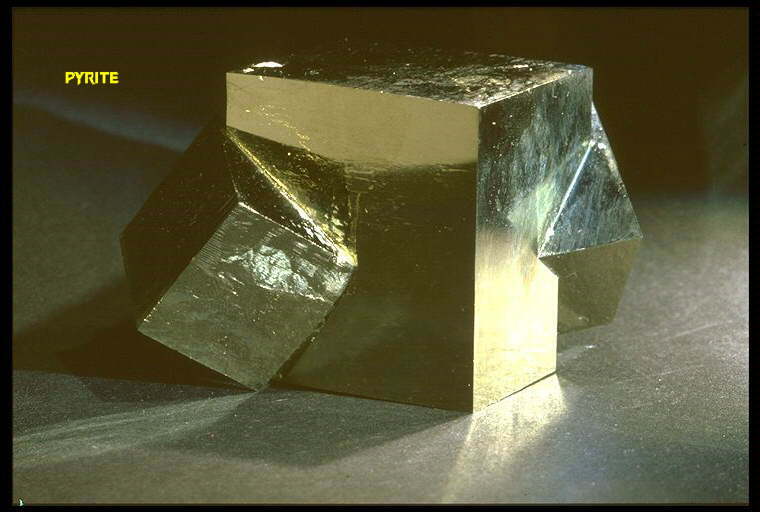 Elemental gold has a melting point of 1,063 deg C and a boiling point of 2,966 deg C. In addition to its softness, it is both the most malleable and most ductile of all elements. This means that it can be hammered into extremely thin sheets (approaching a small number of atoms) and can be drawn into extremely fine wire. Gold in the form of very thin sheets, called gold leaf, has many decorative uses. Elemental gold is an excellent conductor of electricity and heat, surpassed only by the other members of group 1B, copper and silver. Gold usually forms compounds (and complexes) by giving up either one of three of its valence electrons. It is commonly alloyed with other metals, as in jewelry, in proportions that yield desired hardnesses and colors. An alloy of gold, silver, and copper, in which the amounts of silver predominates, is called "green gold". An alloy of the same three elements in which copper predominates is called "red gold"; An alloy of gold and nickel is called "white gold". The purity of alloyed gold is expressed by the karat system, where the percent of gold by weight is given as a fraction of 24. Therefore, pure gold is 24 karat, whereas 18-karat gold is 18/24, or 75%, gold by weight. Gold dissolves in very few solvents, among them aqua regia and the various solutions of cyanide that are used in ore extraction. When gold does dissolve, it is generally by forming complexes. Gold also forms amalgams with mercury and as such is used in dentistry. Gold is obtained by two principal mining methods--placer and vein mining--and also as a by-product of the mining of other metals. Placer mining is used when the metal is found in unconsolidated deposits of sand and gravel from which gold can be easily separated due to its high density. The sand and gravel are suspended in moving water; the much heavier metal sinks to the bottom and is separated by hand. The simplest method, called panning, is to swirl the mixture in a pan rapidly enough to carry the water and most of the gravel and sand over the edge while the gold remains on the bottom. Panning is one of the original methods used by the forty-niners and is imortalized in story, art, and song . Then, a method that allowed for processing larger quantities of ore, is a sluice box, a U-shaped trough with a gentle slope and transverse bars firmly attached to the trough bottom. The bars, which extend from side to side, catch the heaviest particles and prevent their being washed downslope. Sand and gravel are placed in the high end, the gate to a water supply is opened, and the lighter material is washed through the sluice box and out the lower end. The materials caught behind the bars are gleaned to recover the gold. A similar arrangement catches the metal on wool, and may have been the origin of the legend of Jason's search for the GOLDEN FLEECE. Another variation of the placer method is called hydraulic mining. A very strong stream of water is directed at natural sand and gravel banks, causing them to be washed away. The suspended materials are treated much as if they were in a giant sluice box. Today's most important placer technique is dredging. In this method a shovel of several cubic meters capacity lifts the unconsolidated sand and gravel from its resting place and starts the placer process. Vein, or lode mining, is the most important of all gold recovery methods. Although each ounce of gold recovered requires the processing of about 100,000 ounces of ore, there is so much gold deposited in rock veins that this method accounts for more than half of the world's total gold production today. The gold in the veins may be of microscopic particle size, in nuggets or sheets, or in gold compounds. Regardless of how it is found, the ore requires extensive extraction and refining. One-third of all gold is produced as a by-product of copper, lead, and zinc production. Copper, for example, must be electrolytically refined to raise its purity from 99% to more than 99.99% as required for many industrial purposes. In the refining process an anode of impure copper is electrolyzed in a bath in which the cathode is a very thin sheet of highly refined copper. As the process continues, copper ions leave the impure anode and are deposited as atoms on the cathode. Because impurities are not transported through the bath, as the anode is consumed, the impurities fall to the bottom as a sludge. This anode sludge contains gold in quantities sufficient to make recovery profitable. One-third of all gold is obtained from such by-products. Silver and platinum are also recovered from the copper anode sludge in quantities large enough to more than pay for the total refining process. In obtaining gold from vein ore, the ore is first crushed in rod or ball mills. This process reduces the ore to a powdery substance from which the gold can be extracted by amalgamation with mercury or by placer procedures. About 70% is recovered at this point. The remainder is dissolved in dilute solutions of sodium cyanide or calcium cyanide. The addition of metallic zinc to these solutions causes metallic gold to precipitate. This precipitate is refined by smelting. The purification is completed by electrolysis and the sludge produced will contain commercial quantities of silver, platinum, osmium, and other rare-earth metals. One of the principal uses of gold today is as a currency reserve--usually stored in the form of gold bricks weighing 13 kg (35 troy lb). Gold was for centuries used directly as currency along with silver. During the 19th century it assumed a role as the sole basis of the currencies of most nations; paper MONEY was directly convertible into gold. World War I disrupted this system. The original GOLD STANDARD was gradually abandoned (the United States stopped minting gold coinage in 1934), and the dollar eventually emerged as the principal unit of international monetary transactions. Since the 1970s gold has been bought and sold on the market, with widely fluctuating prices, and gold reserves maintain only a very indirect relationship with the values of currencies. There is a large and rapidly growing demand for gold in industrial processes. Its relatively high electrical conductivity and extremely high resistance to corrosion make the metal critically important in micro-electrical circuits. Minute quantities dissolved in glass or plastic sheets prevent the passage of infrared radiation and make an efficient heat shield. Because of its chemical stability, gold is in demand for bearings used in corrosive atmospheres. It is also plated on surfaces exposed to corrosive fluids or vapors. Its lack of toxicity and its compatibility with living systems make it indispensable in dentistry and medicine, and its beauty has made it outstanding in the arts and crafts since ancient times.